There's so much attention on the band, it can be distracting at times. I really feel the need to walk away from it while I still care about it. And then if I come back to it — if at all — I'll feel better about it and be renewed or something to do that. In Sept. 2013, the 34-year-old singer-songwriter cast doubt on the band's future once again, telling an Australian radio station he wasn't in the right "headspace" to "create another Bon Iver record." 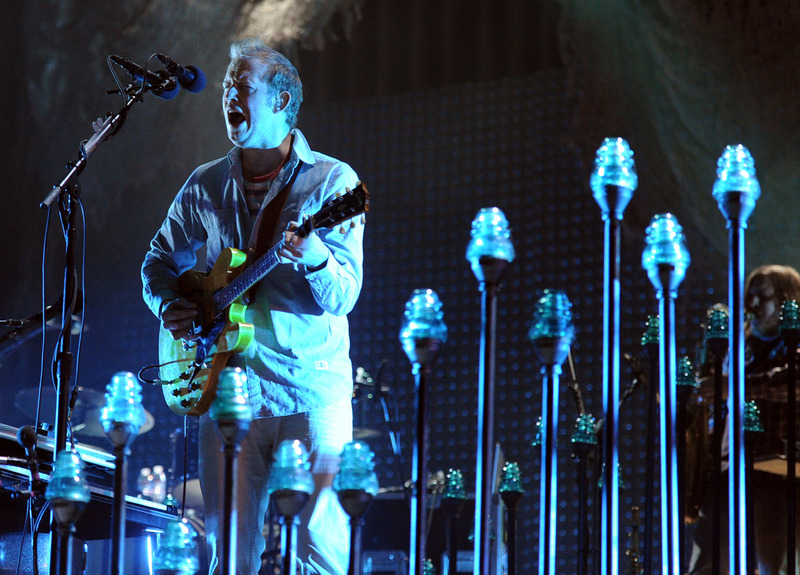 However, by this past May, he seemed to have changed his tune, calling Bon Iver's Eaux Claires show the "perfect" way for them to start their "new life" in an interview with a Minneapolis television station. But, just before the festival began, Vernon muddied the waters a bit, revealing to Grantland that the group doesn't currently have plans to record a new album or go out on tour. Huh. Hopefully, they'll have a plan in place soon. I have to think that these two new songs are a sign that things are moving forward. Check them both out below.